Don't like social networking? Why you need to change your thinking. I often hear from clients "I don't do social networks" or "I don't get that social stuff - everyone is obsessed with it". Five years ago, that probably would have been fine. However, if you have a business today, it's almost imperitive. It's precisely because everyone is so connected to their devices and their social networks that you need to jump in and join the mix. "Viral" is a good thing for spreading the word - and that's just what you want. More than seven in 10 employed people are now active social networkers as social networking has become the number one use of the internet. Overall, we know that 94% of people use social networking to learn, 78% to share knowledge and 49% to access needed expertise. We are witnessing the emergence of the “human face” of data and the unprecedented creation and sharing of knowledge. Imagine how one item you share on social media can be spread to hundreds or thousands of faces in a matter of hours. Remember, sharing goes outside your own network of customers or followers and has the potential to be shared with all of the networks of those people. It doesn't have to be hard... or expensive. You can set up your social networks to update automatically when you update just one source (like your website) with software and scripting. You can also take a bit of training from your marketing manager or webmaster then do it yourself. You can also pay a maketing expert, copywriter or someone in your company to keep your social networks up to date. 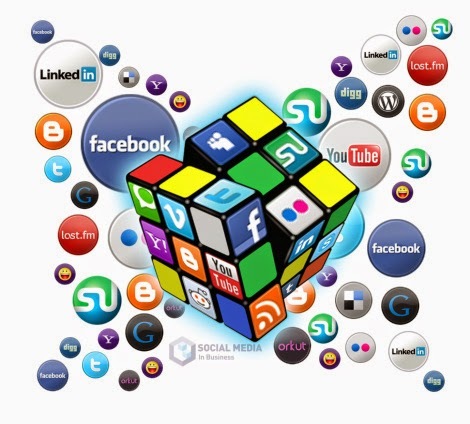 Now remember, there is no such thing as effective social media marketing without content. As we've said for years, "Content is King". It's great content that gets people to share, and that sharing widens your audience to world of potential customers, fans and friends. Whether you're a large corporation or a small business entrepreneur, social media marketing can be the most inexpensive and powerful marketing tool in your arsenal to build the trust and authority that helps exponentially grow your business. Learn more about marketing strategies and social media marketing online at our website, dotLaunch.com. Oh... and don't forget to follow us on Facebook, Twitter and Google+.